Get Started... It’s as easy as 1-2-3! Place clothes to be cleaned in the special care bag. Hang bag on front door. The morning of your pick-up, hang the bag on your front door. You’ll recieve a reminder call the day before your scheduled pick-up. 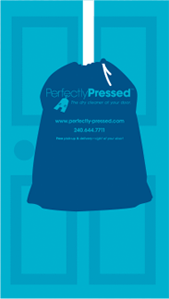 Clothes professionally cleaned and delivered right to your door! 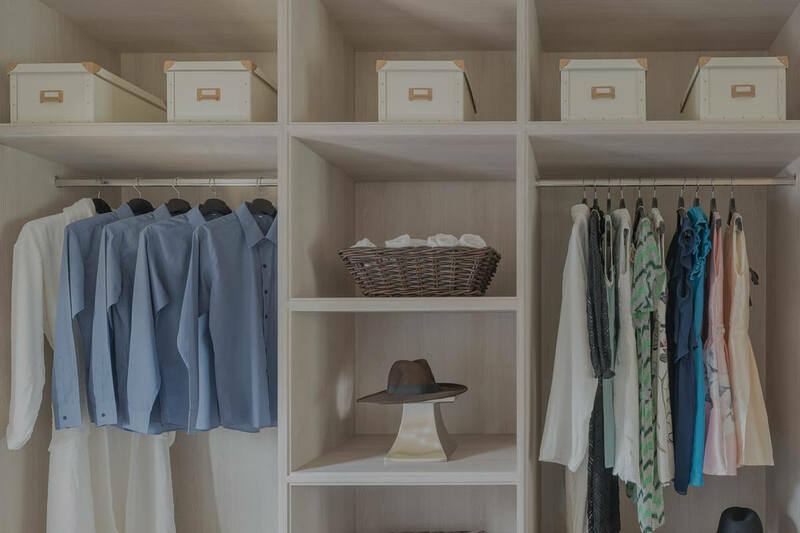 The clothes will be delivered free to your front door. You’ll receive a convenient monthly statement. We would like to take the opportunity to thank you for a great Dry Cleaning Service. Your customer care and service manners have always been top. So big thank you to you and your team. Rami, Thanks for doing such a great job on my white North Face jacket. I’m very pleased; it almost looks brand new! Thanks again! Thank you very much for your service, we have been very happy and will be sure to recommend you to anyone in your service area. The quality service, the ease of using and the finished product all combine for the five star rating. I am very happy with Perfectly Pressed. Keep up the great Job! Excellent customer service! Very convenient and professional. We love it! Thank you so much for the impeccable service. I’m very pleased with the service. I will be a regular user and would like to request a second bag as I may need pick-ups both Monday and Thursday at times. Thanks, and again, I love your service! Thanks so much for your services over the last 3 years. We will be sure to pass on our recommendations of your company to the new homeowners.